When I saw that this title was written by two South African authors I really wanted to read it. The excerpt looked quite good and I hoped for a good read. The book starts off well enough and it caught my attention for the first couple of chapters. Thereafter I just wanted to finish the book unfortunately. The story-line is about two characters who end up in hospital in Johannesburg. Lisa is a plastic op addict of sorts, and Farrell is unsure why he is there. 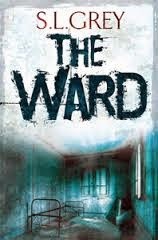 The book turns into a weird Sci-Fi story that has a behind-the-scenes, and under-the-hospital, body-morphing and organ-stealing plot. At this point I found the book to be incoherent with the rest of the story-line, and I found the "Zombie" language to be slightly annoying. I would have appreciated a much more "down-to-earth" story as the beginning of the book had so much going for it. You can find my Book Rating Scale in the side bar.